Have you ever wanted to paint your children, grandchildren or friends? Then this is the workshop for you. 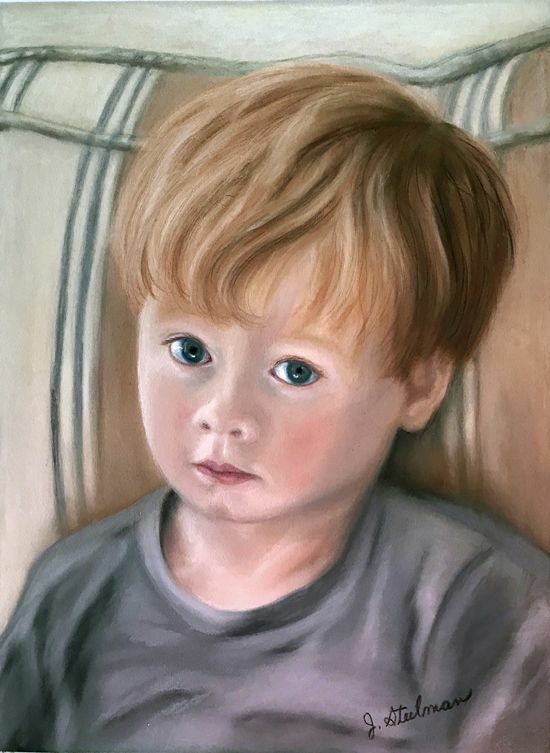 Pastels lend themselves to creating realistic portraits of people using the subtle skin tone colors available. They blend to create a luminescence not easily accomplished with other mediums. You will learn how to create an portrait from start to finish using reference photos provided or your own photos. Set of Pastel Pencils. I recommend the Cont� � Paris set of 12 or Faber Castel PITT Pastel Pencils.